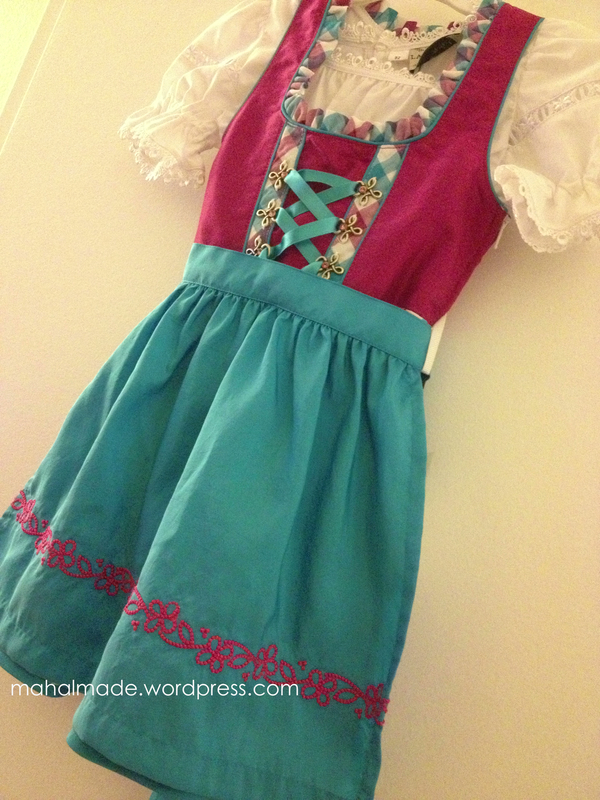 Very well made, straight from Germany, and not one of those cheap, low quality, costume kinds. And it’s just about ready to not fit my daughter. So, she’s wearing this as one of her Halloween costumes this year and I figured since I’m taking her out, why not have a little fun myself? Maybe. I’m thinking of going the cheap, barely dressed up but it still counts as dressing up route… with cat ears, black and animal print, and face makeup hahaha. And, hey, might as well do my nails to match, right? 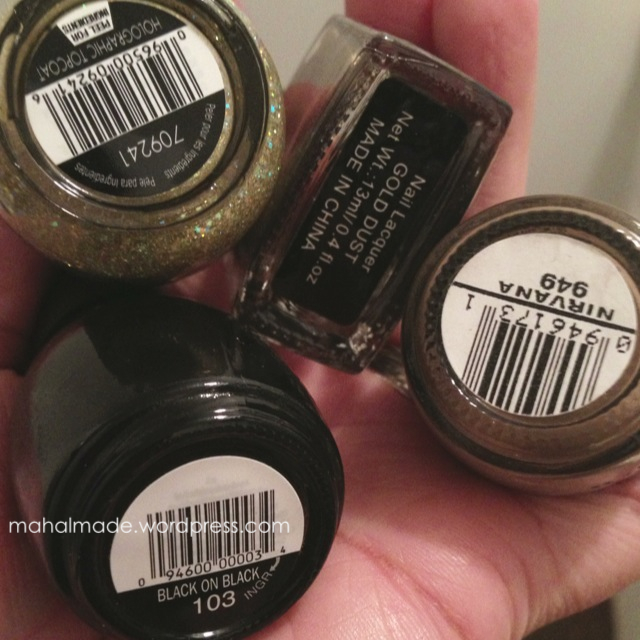 Sinful Colors in Black on Black, Sinful Colors in Nirvana, JLB in Gold Dust, and Nina gold holographic topcoat. It’s been a while since I’ve done any kind of design so I figured I’d give it a try. I’ve created this skittlette which is a term by Marta at ChitChatNails that describes this type of mani. (She is queen of the skittlette so be sure to check out her blog!) 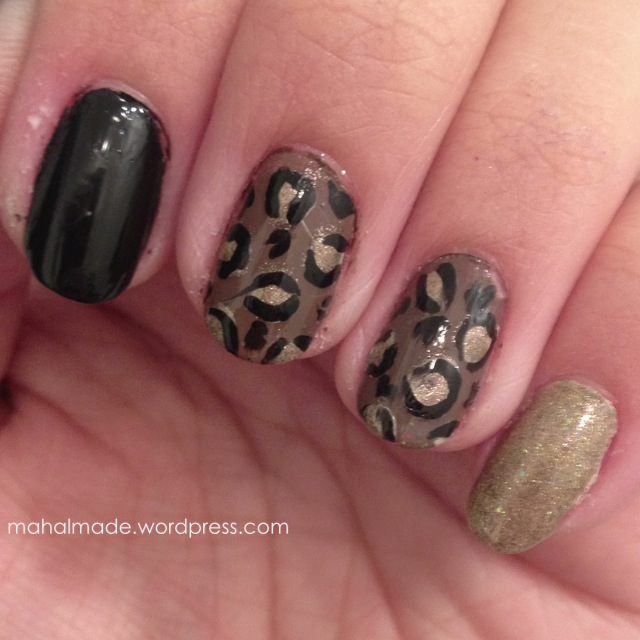 I did two nails with plain black, one black and brown animal print design, and one glittery nail. I also did it late at night while watching the Lakers game so, yes, it is half assed. No shame. It’ll go perfect with my cat “costume” if I do decide to dress up and if not then at least my nails look cute. Soooo with that, whatever your plans may be for tomorrow, hope you all have a safe and happy Halloween!